Appdrawer sidepanel for custom appdrawer categories! Genius Page inspired from iOS finder search and Google Now Launcher page! Support for Nova, ADW, Apex and all launchers icons pack and theme! 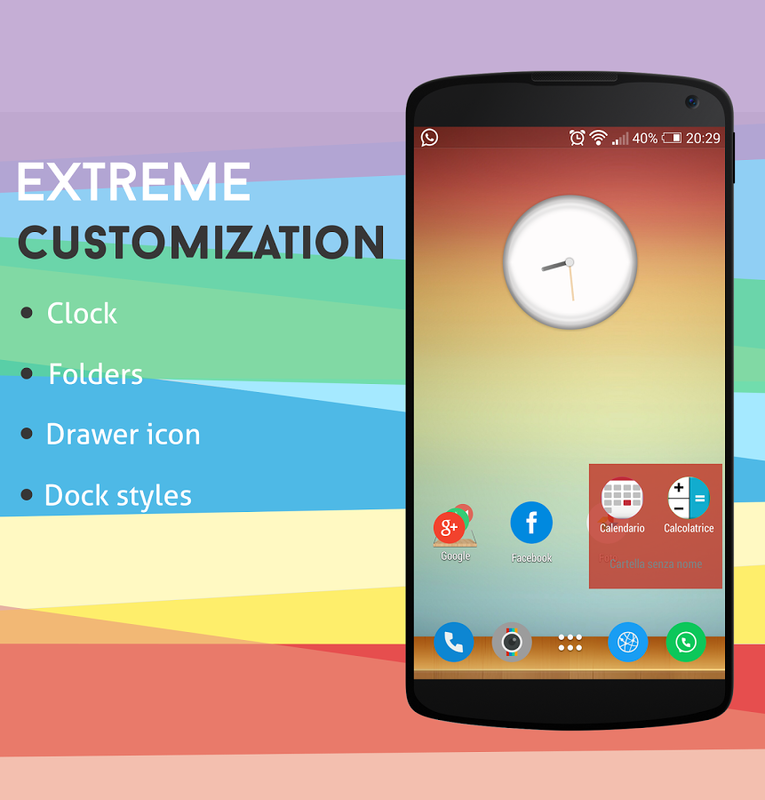 Included a fresh colored theme called inspire colors that will enable a little colorfull icon pack with a drawer and folder custom icon! Good morning notification with date and weather informations! Genius Bar search through youtube, maps, play store and more!